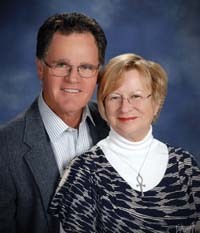 We are Pat and Norm Brown, area real estate specialists for Sonoma Valley and Sonoma County. We have extensive knowledge in all real estate brokerage services necessary to help you acquire, sell or trade a home, business, or investment property. Our site provides important real estate resources for your use. You will find search tools to investigate properties in our local area and beyond. Our featured properties offers information regarding our active listings and properties properties we have represented or wish to highlight. Our Neighborhoods page offers background data, histories, and commentary about the communities we serve. 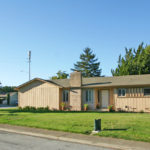 This area will continue to expand with interesting articles on the diverse neighborhoods and housing opportunities within Sonoma Valley. Our Resources page provides links to Sonoma Valley and Sonoma County websites and offers links to Marin County websites as well. Here you will find area news, community events, area resources and government agencies. We provide convenient market data reports for nearby towns, tips for Buyers and Sellers, and our Blog postings. Real time real estate news from the Inman News Service will keep you in-the-know. We value your feedback and hope that when you need the services of a Realtor, you will consider us for the position. "The human aspect is the part Pat and Norm like best. They put their hearts and souls inot making the best match between the people and the property.